Inside: 11 fun party games for 10-14 year olds – perfect for tweens and teens. There is nothing better than seeing your child laughing and playing with their friends – especially in the digital age we live in, with many tweens and teens spending so much time on their phones and other electronic devices. I am sure you will agree that there is no better time to get them off the screens and having fun together than a birthday party and this collection of classic kids party games includes games that are budget friendly, super simple to play and sure to generate lots of laughs for tweens and teens! These also make great youth group games, games for school camps, or any other setting where a group of 10-14 years olds are together. I had forgotten all about this game until I went to a Halloween party at a friend’s house. It was so much fun that even the adults insisted on having a turn! To play, tie a length of rope above head height between two trees or poles. Thread a piece of ribbon through the hole in each donut and then tie the ribbon to the rope so that the donut is hanging just above mouth level. 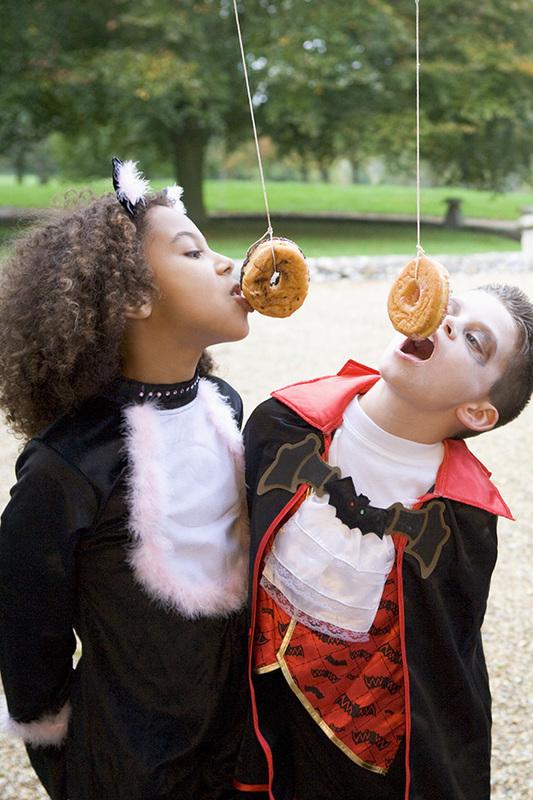 On a start signal, each player tries to eat their donut – no hands allowed! Guests sit in a circle on the floor and take turns to roll two dice, passing them around the circle in a clockwise direction. If a child rolls a double number they put on a set of two or three dress ups (e.g. a hat and scarf or coat and boots) and then use a knife and fork to cut individual squares from a family sized block of chocolate and eat them. They keep cutting and eating until the next player rolls a double. The key is to keep the dice moving as fast as possible so that the person eating the chocolate changes regularly. Each player puts a small cookie (e.g. an Oreo) on their forehead and using only their facial expressions must try and move the cookie into their mouth. It’s much funnier if your eggs aren’t boiled – especially for tweens and teens! Just be sure to take it outdoors! You’ll need one egg per pair. Pair players up and have them toss an egg back and forth to each other. Each time the children both catch it, they must take a step backward and continue. The team that can catch their egg with the furthest distance between them, wins! One player is chosen to be ‘It.’ It chases the other players and when he/she tags a player, that person must freeze and remain frozen until another untagged player tags them to unfreeze them, they then may re-join the game. The game is played until all players have been frozen and then a new It is chosen for the next round. To make the game even more fun, when unfreezing a tagged player you must call out the name of a television show. If you call the name of a show that has already been used, both you and the frozen player are now frozen together and must remain frozen until another player is free to rescue you! Have guests take off their shoes before playing. Each player will need an inflated balloon tie to a short piece of string and then tied around one ankle. On ‘go’ players attempt to stomp on (and pop) each of the other balloons, while trying to protect their own – no hands allowed! The last person with an inflated balloon tied to their ankle wins. You’ll need a broomstick for a limbo pole and your favourite tunes for a classic game of Limbo! Hold the pole horizonally to the floor (you’ll need a person either end) at about chest height. Players line up and take turns to dance under the limbo pole without knocking or touching it – if you touch it, you’re out. Players must lean backwards, not forwards, as they pass under the pole. Once all the players are through, the pole is dropped about an inch and the players again must pass under the pole without touching it. The last player dancing is the winner. My eleven year old and her friends had lots of fun with this one at a recent sleepover party. 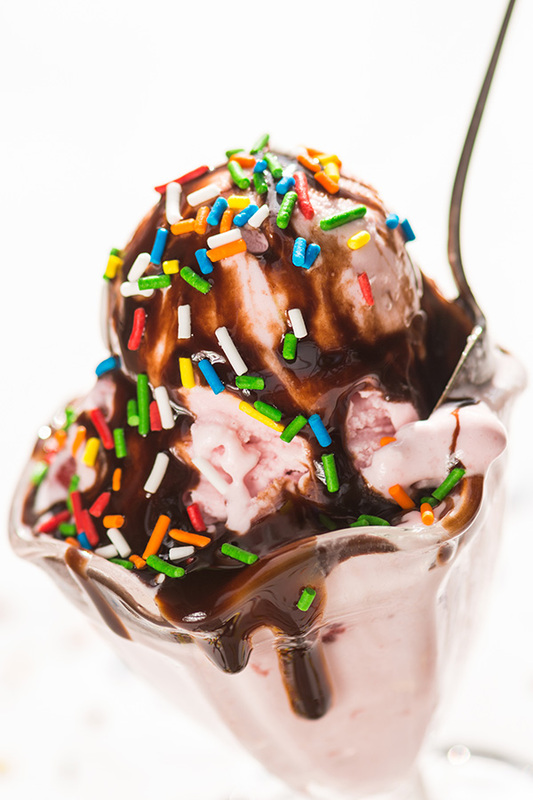 You’ll need to choose six different sundae toppings – things like whipped cream, chocolate or strawberry topping, marshmallows, sour worms, sprinkles, mini M&Ms, etc – and you’ll need a bowl of ice cream for each person and a dice. Before starting, allocate one number of the dice for each topping, then the kids take turns to roll the dice and they add the topping rolled to their sundae. You can keep going around, adding toppings, for as many rounds as you like. Then it’s time to eat! Everybody sits in a circle. One person is nominated to be It and moves away from the circle while everyone else decides who the ‘murderer’ will be. ‘It’ is called back to stand in the circle. The ‘murderer’ winks at one person in the circle at a time (trying to do it without ‘It’ seeing). When someone has been winked at, they pretend to die dramatically! ‘It’ has to try to deduce who the murderer is. Once they guess, the murderer becomes the next ‘It’ and the game starts over. Before the party line up a playlist of your tween/teens favourite songs and some other popular tunes. Divide players into groups of two or three. Play a tiny snippet of each tune and have the groups guess the name of the song. Include spot prizes for particularly tricky toons and a fun prize for the winning team to keep things competitive. Divide your party guests into two teams and send them off on a neighborhood scavenger hunt. This post at Southern Plate has some great ideas for developing clues and challenges for the hunt. 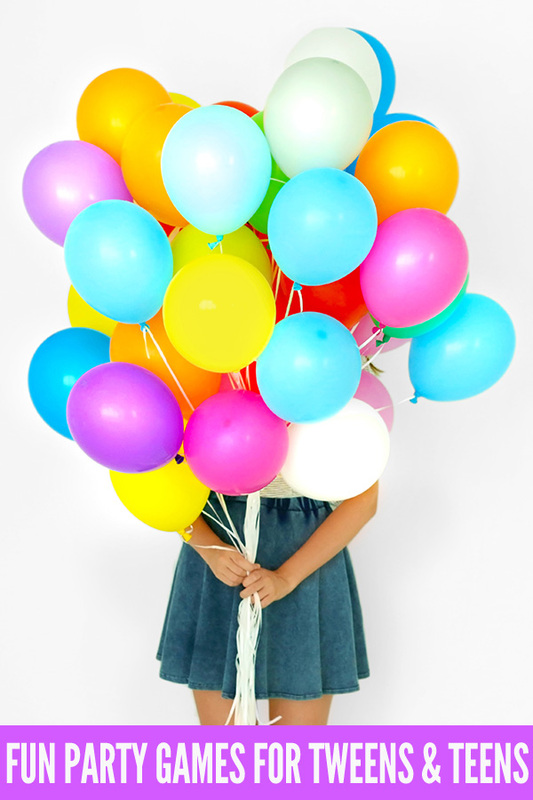 Do you have a classic birthday party game that your older kids love?